Are you thinking of making Christmas cookies yet? 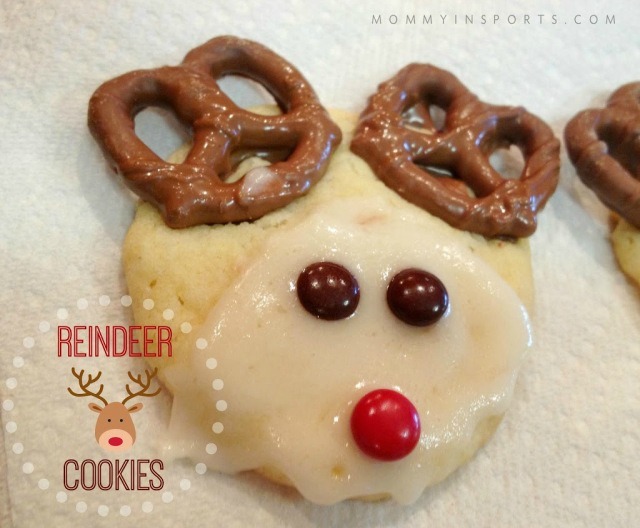 Here is a fun idea for Reindeer Cookies by Mommy in Sports that your kids will be sure to love. These quick and easy to decorate cookies would be great to make with your kids. Kristen made these with her daughter to take to preschool snack time. Be sure to stop over to Mommy in Sports to get the full recipe. Thank you so much Kristen for linking up your adorable cookies to Dare to Share. Thank you so much for sharing my post and these cookies! They are definitely easy to make and sooooo delicious!